Get Ready To Have A LOT of Dolby Atmos Thrown At You! Well its official. I don’t post enough. Being a new home owner has not helped this, and despite that, a lot of it has to do with the lack of exciting news in terms of new technology advances coming from the manufacturers. However, this last week the Consumer Electronic Design and Installation Association (CEDIA for short) had their big industry show. So we are finally able to get a glimpse at some things coming in real products. Products you can actually buy. One of the biggest things happening right now is this push for Dolby Atmos in the home. In fact, Atmos is the only thing the industry bloggers seem to be talking about right now! Now I know I blogged about Dolby Atmos a few months back, and at that time it was mainly geared at large commercial cinemas; but now we are finally seeing it pushed out of the theater and at the consumer. CEDIA was the first place we have seen demos of this technology geared towards the home. To be honest, up until now Atmos has not excited me much, but (oddly) a lot of these other skeptical “industry guys” of whom I follow have been really impressed by it. 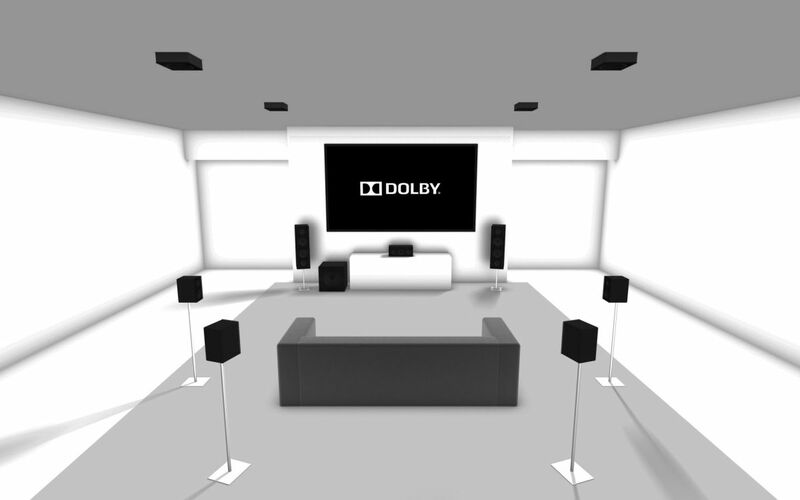 Frankly, I have no idea of what to make of Dolby Atmos yet. I haven’t heard it, and to my embarrassment, I have to admit that I have not seen anything in an Atmos theater as of now. This is mainly due to the fact that Minnesota only recently gained a single Atmos Theater in Saint Louis Park. So real quick, I’ll give a low down on what I know for details on Atmos for the home. Now as I explained previously, the main thing about Atmos is that you gain overhead sound, and that the mix engineer chooses a point in 3D space of where he wants a sound to come from, and then the equipment figures out how to put it there. This is opposed to an engineer figuring out which speaker to make the sound based upon his speaker set-up in the studio. So, what do you need for all this? Mainly you will need a new receiver or pre/amp processor. The real brains of all of this will be based in the receiver. Surprisingly, you DO NOT need a new Blu-Ray player. Existing Blu-Ray players should pass through the meta data needed for these new receivers to de-code Atmos. You need a minimum of seven channels of surround sound. Apparently, Dolby Atmos could be activated on these new receivers even with only an existing full 7 channel speaker set up, with no ceiling speakers. Ideally you want to add speakers that have the ability to reproduce overhead sound. This can be done two ways, ceiling speakers, or floor speakers that also bounce the sound back down off of the ceiling as illustrated below. Dolby Atmos enabled speakers that include both traditional forward-firing speakers and upward-firing speakers in one speaker cabinet. You will also be able to purchase Dolby Atmos enabled speaker modules. These include only the upward-firing speakers. You can put the modules on top of your current speakers or on another nearby surface. Overhead ceiling speakers are used for overhead object based audio. Like the cinema based Atmos system, the home system will be scalable in size, in that you can build it with as little as seven speakers or as many as 34 speakers! Infact, Atmos could be as many as 24 floor based speakers and 10 overhead speakers. Dolby claims some manufacturer is going to release a 32 channel receiver shortly! By the Power of Greyskull! So there you have it, that is most of the Atmos news. I don’t know what to make of it honestly. 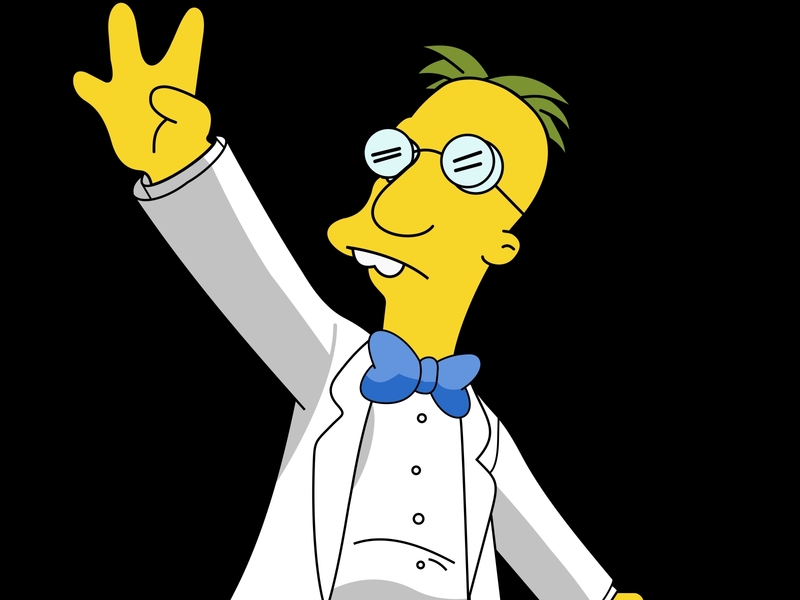 It’s getting to be technical to the point where you would have to be Professor Frink to keep up with it. I honestly think that its complexity and sheer size could scare off consumers. However, I think its really cool that you can essentially get the technology in a “home theater in a box” on one end of the spectrum, and that someone else is coming up with a 32 channel receiver on the end of the spectrum. So, I’m eager to hear it in the theater, and I’m also eager to hear what a solid home demo sounds like. I hope to be able to make some comparisons and then report back. Stay tuned for another post shortly, It will have two of my favorite things.. projectors and lasers…. lasers….. Sweet.